Graphic Dimensions offers a variety of programs for software compatible, pre-formatted, and customizable forms and checks. Please select one of our programs below for more information on that program and to see available formats and options. FlexMate is your most flexible option for preformatted and software compatible forms and checks. FlexMate offers hundreds of customizing options that will meet or exceed your customer's check and form requirements. Features - click here to view full details of all available features. Security - click here to view detailed descriptions of all security features. 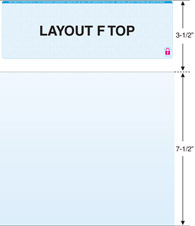 FlexMate YourBase - we can create a base that matches your customer's vertical market or custom needs. We will assign each of your bases a unique identifier that you can reference for ease of ordering. Please contact any facility to set up a YourBase template. Software Compatible - Click here to view a cross-reference guide of all software compatible bases. Please choose a Software Package below to view available templates (PDF) compatible with that software. 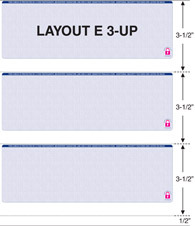 To order simply reference the base number on your purchase order. CheckMate is an innovative product that provides customers with a wide variety of customizing options and is loaded with features. 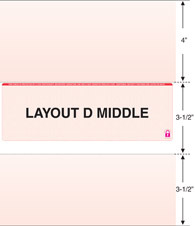 Features - click here to view all available CheckMate features. 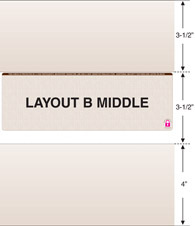 CheckMate YourBase - we can create a base that matches your customer's vertical market or custom needs. We will assign each of your bases a unique identifier that you can reference for ease of ordering. Please contact any facility to set up a YourBase template. Our CheckMate Base Stock program offers customers the ability to order non-imprinted CheckMate check stock. 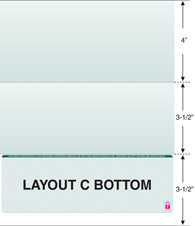 CheckMate Base Stock is available in six layouts (illustrated below), nine colors, and with two background choices. To download a full-sized PDF of any combination of these features, please select the features below and click the Download PDF button.